Dubai: Despite the ongoing conflict in Syria, the country’s business community is already talking to international investors about rejuvenating the country’s economy after the war. 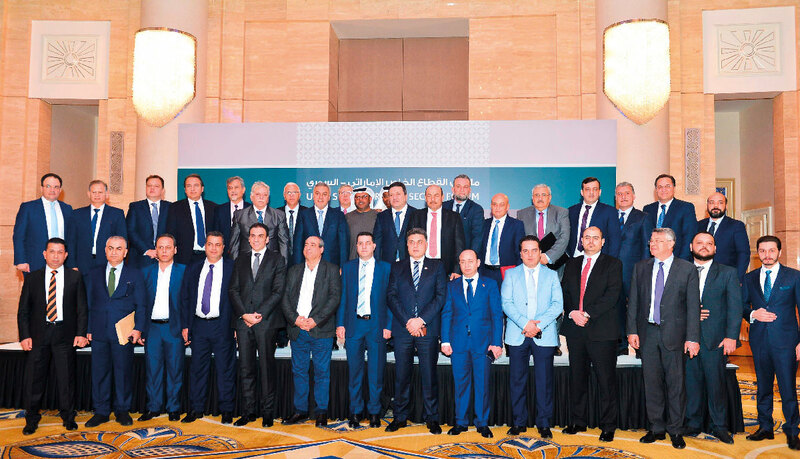 A delegation of business people from Syria are currently in talks in a bid to attract investments particularly to their agriculture, tourism, trade, infrastructure, and renewable energy sectors. They met with Emirati investors on Sunday in Abu Dhabi to discuss investment opportunities. A person who was present during the meeting between the UAE and Syrian delegations told Gulf News the talks discussed ways to return Syria’s economy to a normal path in the coming years after the war has ended. Before the civil war, which started in March 2011, Syria’s economy relied heavily on agriculture and oil. Today, agriculture is one of the sectors the country’s business community is aiming to attract more capital into, and accounts for around half the gross domestic product. A 2015 study by Chatham House’s Royal Institute of International Affairs said that Syria’s economy contracted by more than 50 per cent between since 2011. This couples with a shrinking population, which has dropped from 21 million to about 17.5 million due to migration, displacement, and deaths. Economically, the biggest losses in output were in the energy and manufacturing sectors, while agriculture assumed a bigger role in national output, the report said. One of the people taking part in the discussions in Abu Dhabi on Sunday said the Syrian delegation highlighted successful industries in the country such as the manufacture of aluminium, steel, and glass, and how to develop them. The Syrians also highlighted guarantees they can provide to investors for their capital. They told Emirati investors that business regulations and laws have been issued recently, with more to come to cover different industries. The source at the meeting told Gulf News that the Syrian delegation is merely in early talks now to attract investment for the country’s recovery phase, with no immediate development plans as of yet. The source also said that while there are definitely challenges in business after the war, opportunities can arise from them. The talks held with UAE investors are part of many that Syrians are having with international delegations, the source confirmed, as they visit a number of countries to meet with their business communities. They also come just a month after the UAE resumed diplomatic services in Damascus, reopening its embassy there, which was followed by the UAE’s General Civil Aviation Authority saying it is examining the possibility of resuming flights by local airlines to Syria. While in Abu Dhabi, the Syrian business delegation also visited Masdar to discuss developments in renewable energy, and ways to utilise solar power in Syria for energy. When contacted, the Dubai Chamber of Commerce said that the Syrian delegation was only visiting Abu Dhabi, and will not be holding talks in with the Dubai Chamber.